New Delhi: On July 26, Central Reserve Police Force (CRPF) commemorated its 78th anniversary. The day came close on the heels of the recent deadly attack that claimed the lives of 25 CRPF personnel in Chhattisgarh’s Sukma district, and the one on the CRPF vehicle in Kashmir’s Pantha Chowk area in which a sub-inspector fell to militants’ bullets. 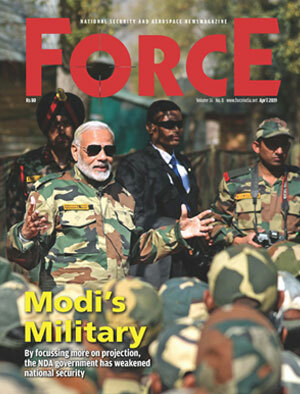 These recent incidents may have cast a shadow of gloom on the forces but the newly appointed Director General Rajeev Rai Bhatnagar preferred to look at the positives during his media interaction. Highlighting the achievements of the CRPF, Bhatnagar talked of the force’s exemplary role in Jammu and Kashmir. Sixty battalions are stationed in the state and work in collaboration with the state police and the army to control militancy as well as maintain law and order. This year alone, the CRPF has killed 75 and apprehended 252 militants. Among the notable militants neutralised by the CRPF in the state are Hizbul Mujahideen commander, Sabzar Ahmad Bhat, Lashkar-e-Toiba’s Bashir Lashkari, foreign militant Aquib Ahmad alias Abu Hamza, and others. The DG reiterated that in 95 per cent of the cases, militants have not been able to escape. On law and order, Bhatnagar said that the incidents of stone-pelting had declined from 1,590 in 2016 to 424 in 2017. “In the recent past, there has been a very close coordination between Jammu and Kashmir Police, the CRPF and the army. Also, good intelligence is coming from the Jammu and Kashmir Police and other agencies.” Additionally, new strategies, standard operating procedures and lethal weapons also help the CRPF to minimise both the injuries to its troops as well as the mob, besides effectively containing and dispersing them. Left-Wing Extremism (LWE) theatre, where the CRPF has deployed 89 battalions including nine commando battalion for resolute action (CoBRA), continues to be an area of concern for internal security of the country. Bhatnagar, however, believes that in the last few years, there has been a ‘significant improvement’ in the security scenario. To further operational efficacy, the CRPF is raising a Bastariya battalion. The recruits will be from the local tribal population of south Bastar, who speak the local language and have knowledge of the terrain and modus operandi of Maoist outfits. The step is also seen as a way to bring the tribal people to the mainstream. The battalion is expected to be available for service by the end of this year.